Above: A 1920s Universal publicity portrait of Dorothy Gulliver. One of the most prominent serial heroines of the 1930s, the pretty and energetic Dorothy Gulliver encountered myriad cliffhanging dangers with an enthusiastic combination of solemnity, vivacity, and earnestness that made her characterizations extremely appealing–and which more than compensated for her occasionally awkward handling of her lines. Perhaps because she began her career in the silent era, she often sounded somewhat unsure of herself during the lengthier dialogue sequences in her serials; however, her facial acting and delivery of shorter lines was always expressive and animated. Dorothy Kathleen Gulliver was born in Salt Lake City, Utah. Fascinated with acting from an early age, she appeared in many school and church plays during her childhood, and ultimately secured a movie contract when she was only sixteen, after placing in a Salt Lake City theater’s beauty contest. Universal Pictures, the studio that sponsored the contest, brought her to Hollywood for a screen test, signed her to a contract, and began tutoring her in silent-film acting. She launched her screen career in 1926, playing supporting parts in a few shorts and a serial (Strings of Steel) at Universal before the studio cast her in The Collegians, the first in a popular and long-running series of silent shorts that chronicled the misadventures of a set of all-American college students; Dorothy portrayed Collegians’ female lead June Maxwell, and would continue to play the role in innumerable subsequent shorts for the next four years. Though the Collegians series occupied most of her time during the second half of the 1920s, she appeared in a few other films for Universal (mostly Westerns) during this period, and was also loaned out to Warner Brothers to co-star in a couple of features there. 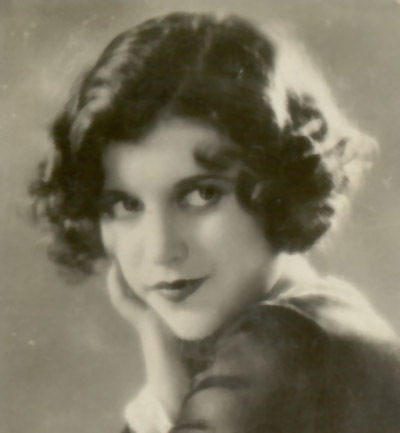 When the Collegians series finally ended in 1929, Gulliver left Universal to freelance, but was unable to parlay her success at that studio into A-list assignments elsewhere; she spent the first three years of the 1930s playing leading roles in low-budgeted B-pictures for RKO, Tiffany, and various independent companies–and co-starring in movie serials. The first of these serial assignments came in 1930, when Mascot Pictures’ boss Nat Levine–always quick to sign up well-known players whose careers had stalled–cast her as the heroine in The Phantom of the West (released in 1931). This entertaining Western serial dealt with an old murder case that was reopened when the supposed murderer, Francisco Cortez (Frank Lanning) escaped prison and set out to clear himself by extracting a confession from one of seven prominent citizens who were concealing the true culprit’s identity. Dorothy played Cortez’s daughter Mona, who worked assiduously to assist her fugitive father and eventually joined forces with Jim Lester (Tom Tyler), the son of the murdered man, to track down the real killer–in the process battling not only the seven suspicious citizens, but also a cloaked assassin known as the Phantom. Like several other actors in this very early (and often creaky) talkie, Gulliver sometimes seemed stiff during protracted dialogue scenes (a problem that, as aforementioned, would follow her throughout her serial career), but was winningly lively for the most part, gaping with convincing horror when confronted by the Phantom, spiritedly denying her father’s guilt to Tyler’s suspicious Jim Lester, and successfully conveying fervent devotion to her put-upon parent. Above: Dorothy Gulliver does some eavesdropping The Phantom of the West (Mascot, 1931). 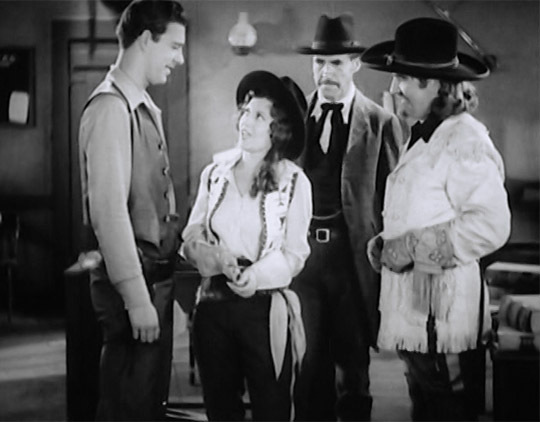 Above: Dorothy Gulliver affirms her innocence when Tom Tyler accuses her of criminal activity in The Phantom of the West. Dorothy’s second sound serial, The Galloping Ghost (Mascot, 1931), followed very closely on the heels of her first. One of Mascot’s most action-packed chapterplays, the melodramatic but highly entertaining Ghost starred famous footballer Red Grange as a college gridiron star who was wrongfully accused of taking a bribe, and was forced to battle a gang of crooked gamblers and the seemingly insane Dr. Julian in order to clear his name and protect his amnesiac teammate Buddy Courtland (Francis X. Bushman Jr.), who’d actually taken the bribe in question. Gulliver played Buddy’s sister Barbara, who initially believed Red guilty, but who soon realized her mistake and joined the hero in his struggle. 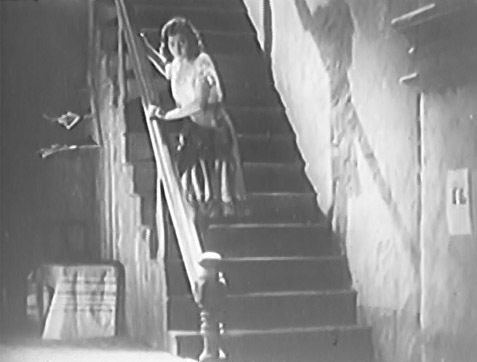 Dorothy threw herself into Ghost’s action and melodrama with vigor–whether she was angrily rebuking Red, repentantly thanking him for saving her life, vehemently speaking on behalf of the wronged hero, worrying about her wayward brother, or intently braving the menace of the gamblers and the deranged doctor. 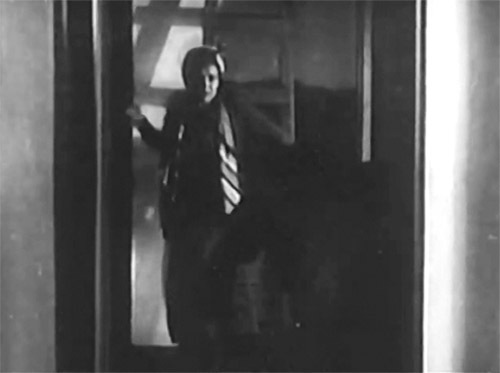 Above: Dorothy Gulliver is confronted by the sinister hunchback Dr. Julian (Theodore Lorch, back to camera) in The Galloping Ghost. Less than six months after Galloping Ghost’s release, Gulliver signed on for her third and last Mascot serial, 1932’s The Shadow of the Eagle. An excessively convoluted but fast-moving and colorful mystery story, Eagle featured Dorothy as Jean Gregory, the daughter of once-famous World War 1 flying ace Nathan Gregory (Edward Hearn), who now owned a small carnival. When an airborne criminal launched a series of attacks against some of Gregory’s old colleagues–appropriating Gregory’s old nickname of “the Eagle” and framing Gregory for his crimes–Jean, carnival stunt pilot Craig McCoy (a young John Wayne), and several other carnival performers set out to protect the old Eagle and run down the new one. Like her two previous Mascot outings, Eagle gave Gulliver plenty of opportunities to be both warmly solicitous and energetically spunky, as her character alternately comforted her harried father and tangled with the villains seeking to harm him. 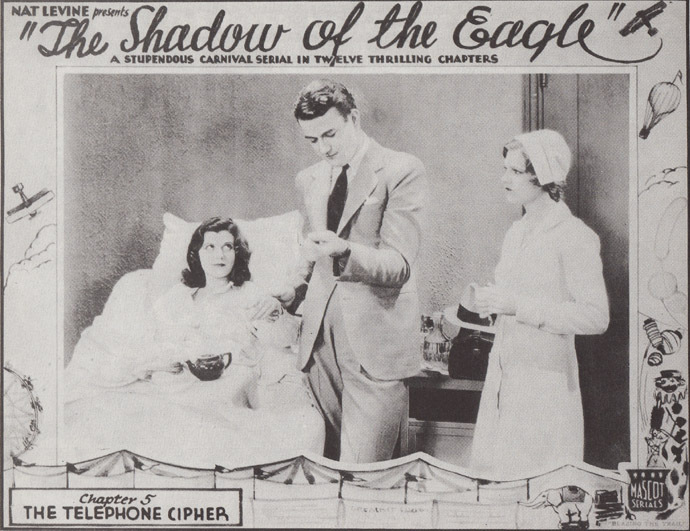 Above: John Wayne checks on the injured but recuperating Dorothy Gulliver in The Shadow of the Eagle (Mascot, 1932). Dorothy’s final starring serial, another 1932 release, was The Last Frontier–an erratic but enjoyable Western outing released by RKO but produced by former employees of the defunct Pathé Exchange, one of the silent era’s leading serial purveyors. Like Pathé’s silent-serial queen Allene Ray in her chapterplays with leading man Walter Miller, Gulliver in Frontier split her screen time equally with leading man Lon Chaney Jr., and played an even more prominent part in the serial’s action than she had in her Mascot chapterplays; her heroine (Betty Haliday, the daughter of a frontier cavalry colonel) continually helped Chaney’s hero (Tom Kirby,a newspaper editor who doubled as a mysterious avenger called the Black Ghost) take on land-grabbing outlaws. Dorothy carried herself well during her extensive time on Frontier’s center stage, participating in horseback chases and gun battles with breathless seriousness but displaying exuberant cheerfulness in lighter moments; as in her previous serials, she occasionally stumbled over her more long-winded dialogue (particularly in a protracted romantic sequence), but for the most part played her role with conviction and delightful energy. Above: Dorothy Gulliver cheerfully teases Lon Chaney Jr. as William Desmond (far right) and Richard Neill watch in The Last Frontier (RKO, 1932). Above: Dorothy Gulliver turns the tables on a surprised captor in The Last Frontier. After completing Last Frontier, Gulliver spent the next few years playing major parts in various B-westerns, along with supporting roles in a few non-Western B-pictures and bits in a couple of A-movies (among them King Kong). One of her B-westerns–1935’s Fighting Caballero–was the handiwork of Louis and Adrian Weiss, a father/son team of independent producers who subsequently turned their hands to serial-making, and rehired Dorothy to play a final chapterplay part: the secondary role of Sioux maiden Red Fawn–guardian of a sacred and oft-stolen tribal medicine arrow–in the ambitious but fatally low-budgeted quasi-historical epic Custer’s Last Stand (Stage and Screen, 1936). Gulliver, like most of the actors in Last Stand, struggled gamely but sometimes unsuccessfully against the twin curses of excessive dialogue and a severely rushed filming schedule; she frequently seemed to be desperately trying to remember her lines while the cameras rolled–and wasn’t helped by the jarring way in which the writers let Red Fawn alternate between broken and fluent English. In spite of these handicaps, she often managed to make her character quite compelling, giving the peace-loving but authoritative Red Fawn a fitting air of gentle self-assurance. Dorothy also did a strong job of conveying unspoken affection for hero Kit Cardigan (Rex Lease)–who she helped out of several scrapes–and combined affection and distaste for her bloodthirsty cousin Young Wolf (Chief Thundercloud)–who she tried to prevent from attacking Cardigan and the serial’s other leading protagonists; her tearful but resigned reaction to Young Wolf’s death in the final chapter was one of several genuinely compelling dramatic moments that prevented Custer from seeming like a complete loss, despite poor production values and an overcrowded, meandering screenplay. 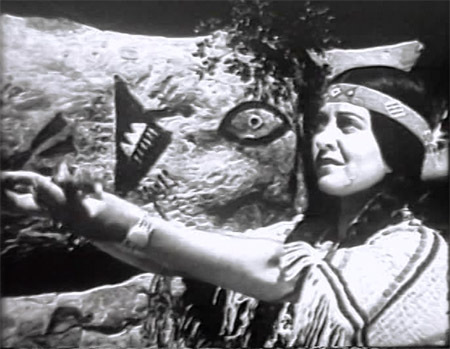 Above: Dorothy Gulliver exults over the recovery of the sacred medicine arrow while simultaneously mourning the death of her cousin Young Wolf in Custer’s Last Stand (Stage and Screen, 1936). Before Custer’s release, Gulliver’s acting career was temporarily curtailed by a serious 1935 car accident that entailed a very long convalescence; she didn’t make another movie until 1938, when she played opposite Columbia’s new B-western star Bill Elliott in his first starring feature, In Early Arizona. 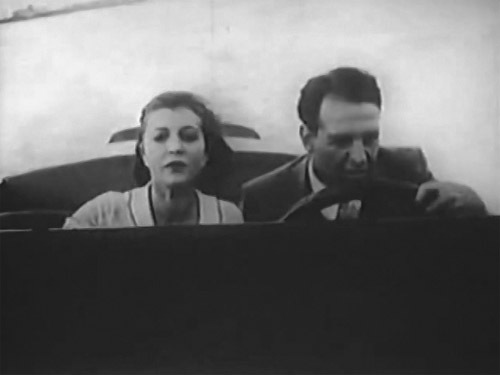 However, her return to the movies was fairly short-lived; after another leading-lady turn in a second Columbia/Elliott B-western (Lone Star Pioneers, 1939), and a supporting part in the Columbia spy film North of Shanghai (also 1939), she began to fade out of the picture business altogether–playing a few uncredited bits in some of Republic B-mysteries during the early 1940s before abandoning the screen to take a public-relations job with a Los Angeles pharmaceutical company. In 1947 she married fellow publicity agent (and former assistant director) Charles Proctor; the couple continued to live in the Hollywood area and kept in touch with the movie-producing crowd, allowing Dorothy to occasionally dabble in television during the 1950s. She also made one critically-acclaimed return to the big screen in 1968, playing a character role in independent director/producer John Cassavetes’ movie Faces; this would be her last film appearance. Her husband died in 1976, and she retired to the rural California town of Valley Center in 1988; four years before this move, she got the chance to meet with the fans of her serial and B-western work at the 1984 Western Film Fair in Raleigh, North Carolina. Aside from a few trips to similar film conventions in the Hollywood area, she spent the rest of her days in Valley Center, passing away there in 1997. Like Kay Aldridge in the chapterplays of the 1940s, Dorothy Gulliver in her 1930s serials came across as so endearingly courageous, enthusiastic, and sincere that her sometimes stiff dialogue delivery shrank into insignificance besides her overall charm. Her acting might have been a product of the silent era–but so was the serial genre itself, and her occasionally uneven but highly energetic performances perfectly complemented the occasionally uneven production values but highly energetic action scenes of the early sound chapterplays she starred in. Above: Dorothy Gulliver charmingly engages in a bit of fond reflection after being kissed by the off-camera Lon Chaney Jr. in The Last Frontier (RKO, 1932). Acknowledgements: Michael G. Ankerich’s biographical sketch of Dorothy Gulliver (and his reprint of an older interview with her) in his book Broken Silence: Conversations with 23 Silent Film Stars (MacFarland, 2011) provided me with much of the information in this article.